SWA’s competition website introduced new business efficiencies by automating much of the competition management process and drove additional revenue as entrants could manage and enter their portfolio of wines online quickly and easily. The Sommelier Wine Awards (SWA) is a unique event focusing entirely on wines aimed at the on-trade. Since starting in 2007, it has grown to become the first point of reference for the UK's wine buyers as well as the key competition for wines trying to increase their presence in hotels, pubs, bars and restaurants across the world. 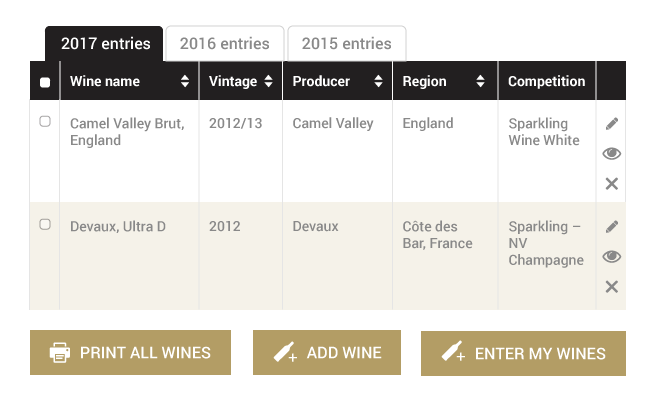 After a couple of years of solid growth, the Sommelier Wine Awards became difficult to manage and scale using spreadsheets and manual processes. 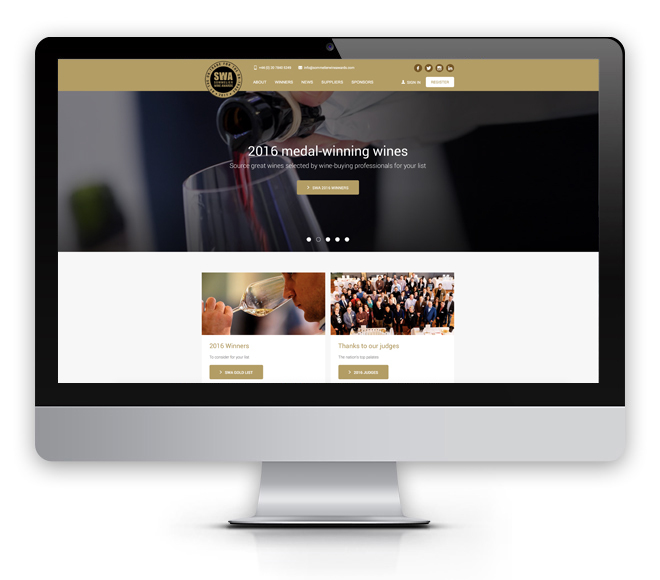 We crafted a responsive, modern and visually pleasing website for SWA that was easy for wine producers to upload and manage their wine portfolio, review past year’s entries and use these as a template for the forthcoming event to expedite the competition entry process. It was essential for the competition entry experience to be straightforward for the entrant and for the different stages of the competition process to be clearly communicated. 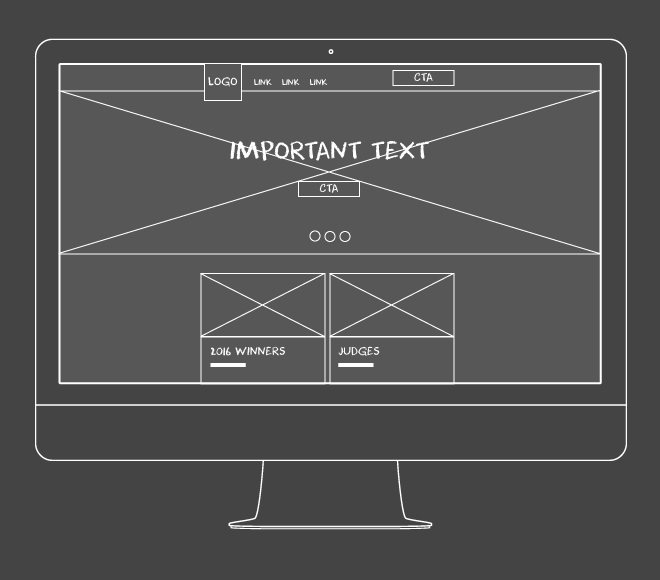 This was achieved by incorporating clear iconography to communicate key actions available to the entrant at any given stage in the competition process. Making the entry process simple and effortless increased the conversion rate of competition entries and sent submissions soaring. We integrated credit/debit card ecommerce payment facilities for competition entries as well as standard invoicing processes for competition payment of high value entries. As a result of this, the SWA invoicing process has become vastly more efficient. Since the inaugural competition in 2007, SWA has become an internationally renowned event and there has been a sustained annual growth in submitters. 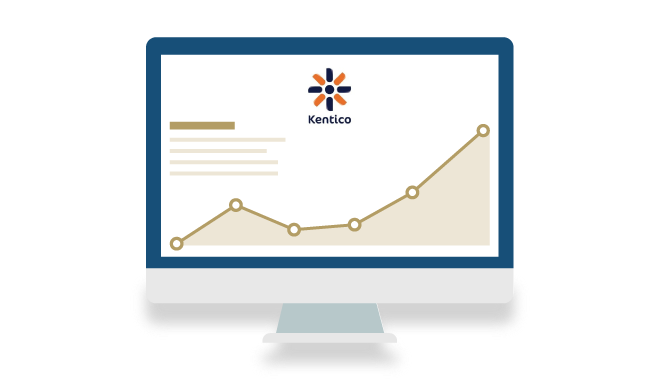 It was crucial that we provided SWA with a robust database on the CMS Kentico that could handle the high volume of wine competition entries, which can come in at a rapid rate!